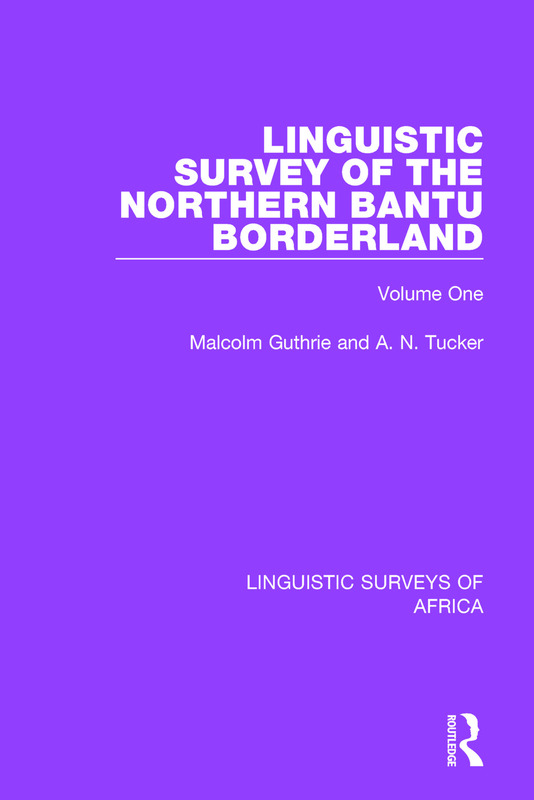 The northern limit of the Bantu languages is one of the important linguistic boundaries of Africa and this and the subsequent 3 volumes provide an invaluable resource which delimits the frontier. Since a number of the languages investigated had not hitherto been recorded, while with others the published information was inadquate and confused the Linguistic Survey of the Northern Bantu Borderland can justifiably be described as a pioneering study. This volume consists of demographic information together with maps and tabulated indications of the affinities of the languages.